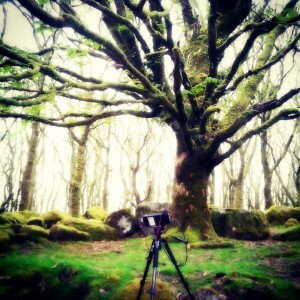 Even our cameras were in awe of Dartmoor trees. This editorial will take you to a magic place in the south of England. At the end of April our expedition group hit the road to Dartmoor. The crew was formed of five individuals accompanied by their ‚square friends‘. It is Thursday evening and we managed to cram into our white Škoda. Leo is forcing the poor stuffed vehicle to move…we´re off! I like the saying ‚the experience doesn´t have to be positive but definitely intense‘. And we all know that the best delight comes from the misfortune of others. Reading the following lines might indeed give you some pleasure. No wonder the English chat about the weather with such gusto. During the day, the sky changes colours like a chameleon. 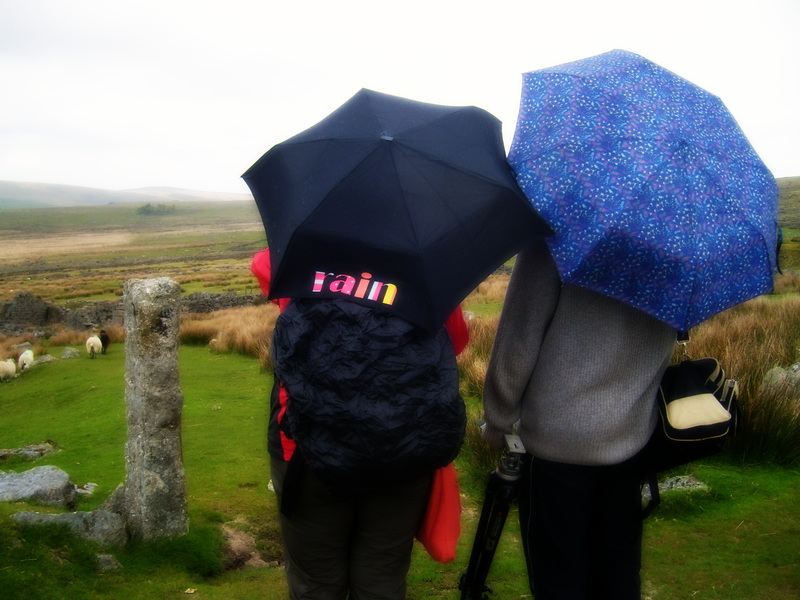 Late spring in England usually promises bathing in sunshine most of the time and boy, we were bathing! But not in warm rays of a yellow giant, who faded into his stratospheric duvets just before our arrival. After a three-day thorough external hydration we slowly began to take roots in our tents. Thank God fog is photogenic and after the rain the colours were shining like precious jewels. „Tess the Merciless“ called the countryside in Devon „green hell“, the rest of us enjoyed amazing views of endless moors dotted by animals and shrubs. High and neatly cut hedges were lining roads from the times of horse-drawn carriages. Apropos, horses! 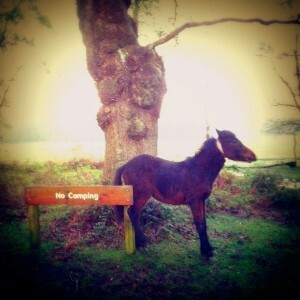 Dartmoor ponies, a special hardy breed that has lived there for centuries. Although property of local farmers, they are free as birds and have such a gentle nature one can almost stroke them. 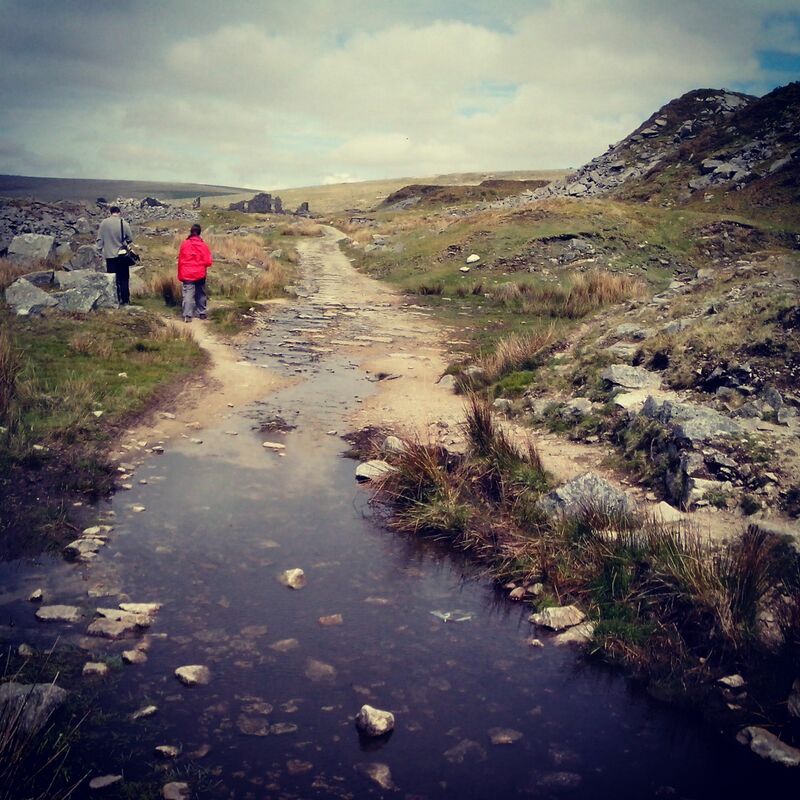 They run the moors, crisscross the roads and nonchalantly demonstrate it is them who rule in Dartmoor. Sheep are more skittish but cows behave like kings of the roads. Why should they move just because a car needs to drive through? There were many times we got stuck in the middle of the road waiting for the huge creatures to chew the last morsel. Animals living in Dartmoor are half-wild, there are few fences and so it can happen that you see a camping site with horses grazing among tents. English woods and forests are also special. You won´t find many spruces or mushrooms there. 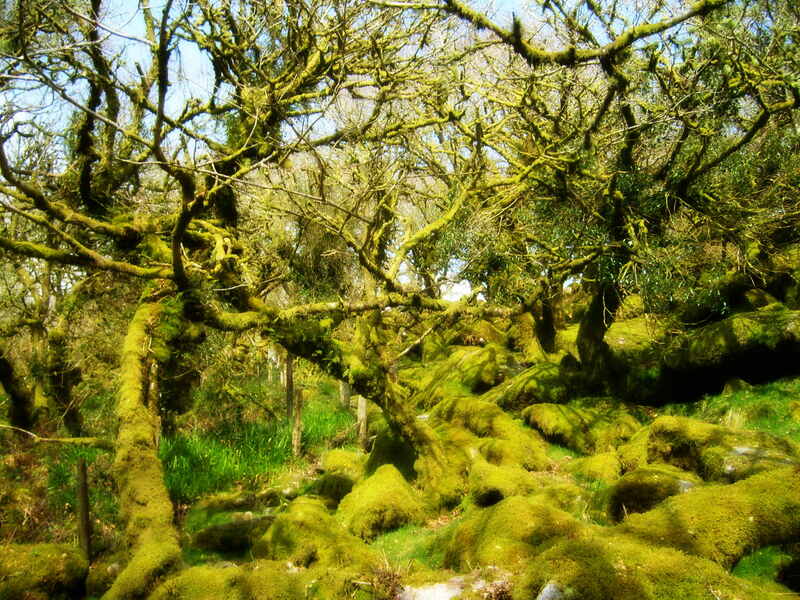 However, visitors who dare to enter these dense and slippery areas, get surrounded by trees with branches twisted like from polio, trunks muffled up in moss and occasionally ornated with ivy necklaces and bangles. Roots follow the shape of branches and vice versa. 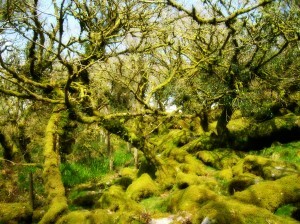 In Dartmoor there is a famous wood called „Wistman’s wood.“ A perfect paradise for photographers. It is over 400 years old and said to be haunted by a ghost of a dead hound. Luckily, we got scared only by a young viper. How do you tell apart English and Czech hikers? Wellies versus hiking boots. After a couple of rainy days, when we got used to a constatnt dampness and omnipresent mud, the British Natura pulled her trumps. Every morning, with the stroke of five, a love-bird with a coarse voice worthy of a fat black singer started his long rhapsody above our tents. Finally, our patience was tested once more. Imagine the scene. Lovely day at the coast. Lunch in the open air. One look away and a plastic box with ‚fish and chips‘ is gone. English language is full of irony. Our love-bird was far from being lovable and the snack-snatching seagull seemed everything but gullible. God knows why British birds tortured us. Perhaps it was the seagull´s revenge for the coarse-voice love-bird that we cursed three times on the Walpurgis night. 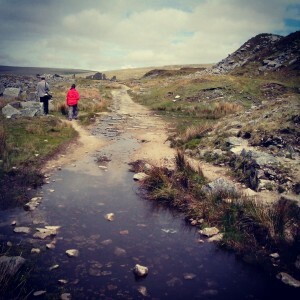 Dear Dartmoor, see you next year!